The SOA Alumni Chapter and student body SOA Outreach are organising an annual community service event for the SOA family. 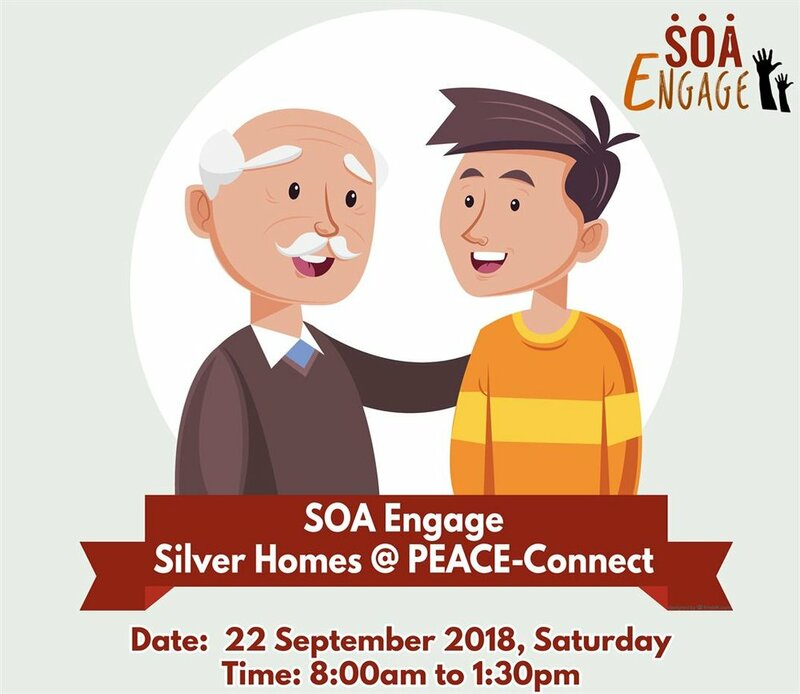 For the inaugural event, we’ll be partnering with PEACE-Connect, a senior activity centre at Beach Road, to distribute essential household and food items to the elderly under their care. Volunteers will also be helping these seniors do some basic cleaning of their homes, and end off the event by having a simple lunch with them. Do join us for this once a year SOA-initiated CSP event! Family members and loved ones are welcome too!